The American Viking Diet: I'll admit the name started out tongue-in-cheek, poking fun at fad diets, and as an ode to human nature, specifically our nature to love new things, and to search for magic cures. But there is actually renewed interest in what is called the "New Nordic Diet" by researchers, and there are some impressive health gains in studies. We have our own resident Viking here at Physicians Healthy Weight Center, our chief nutritionist Beth Almstrom. Beth has been an integral part of our program since we opened in 2004, staying on top of the latest research, helping fine-tune our program over more than a decade. When people ask me to give a simple name for our nutrition program, I often jokingly call it our "American Viking Diet". But now we will make it the official name! 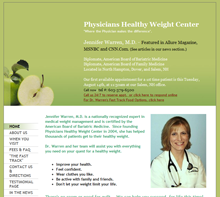 Our philosophy at Physicians Healthy Weight Center has always been to acknowledge human nature and work with it, rather than try to fight against it. Humans have all sorts of quirky tendencies, and we've learned that denying their existence, or railing against them, is futile. Much better to study them, understand them, and channel them into healthy lifestyle choices. One quirk of human nature, shared by other animals such as dogs, is something called “neophilia”. This sounds like a disease, but it actually just means “love of or enthusiasm for what is new or novel” (http://www.merriam-webster.com/dictionary/neophilia). There is nothing wrong with this tendency by itself, and in fact we can see how it helped our ancestors survive. Neophilia has driven humans to search out new lands, new food sources, etc., which helped our species thrive. Another trait of human nature is the desire to search for simple solutions to problems, and to fix problems as quickly as possible. This tendency also helped our ancestors survive, by helping them focus their attention on important challenges, and not waste time or energy, in solving a crisis or problem. Those who addressed problems quickly and effectively moved on to live another day. Although we can imagine how these two tendencies helped our ancestors to survive, we also know how they can backfire. Neophilia, the love of new things, can lead us to fall prey to unscrupulous people who can take advantage of this quirk, and con us into buying products or systems which have no scientific basis, or may even be dangerous. Even if unscientific products or systems are not physically dangerous, they may be dangerous to our sense of self-esteem, our belief in ourselves that we can take charge of our lives and improve them for the better. When we fall for a scam, we become pessimistic, suspicious, and jaded. We also lose faith in ourselves, in our ability to change our lives for the better. These are tragic consequences. Neophilia can also make us abandon successful strategies which ARE working, and jump to something new, just because it is new. New is not always better. The second human quirk, the tendency to search for a simple ‘magic pill’ to solve complex problems, can backfire as well. When we oversimplify a problem, and ignore subtle, complex issues, we never learn from the past, and never come up with real solutions. When we fall for a ‘magic pill’, we become frustrated and angry, once we realize that this is silly and ineffective. We have to avoid our overeager nature to try to find one simple solution to a more complex problem. The reality is that a healthy lifestyle is not achieved with one magic pill, but is achieved through specific, science-based strategies for healthy nutrition, activity, lifestyle, and a logical approach to deal with medical problems. The goal is to simplify without oversimplifying our strategies. So what can we do to channel our tendencies of neophilia (the love of new things) and our search for solutions to problems, into healthy lifestyle choices? It is not an easy task, but we must keep an open mind, with a reasonable degree of scientific skepticism at the same time. We must do our best to try to interpret the science, and we must avoid any program which shuns science in favor of a pseudo-religious fervor. Without naming any programs, I'm sure you can all come up with names of extremist diets which demand rigid adherence and are trumpeted by pseudo-experts who claim to be near-messiahs when it comes to their "program." As tempting as it can be to have blind faith in those charismatic personalities, deep down we feel something isn't right. When a so-called expert is not open to listening to new research, is overly rigid in their diet and lifestyle advice, and is not allowing for individual variation from one person to another, you know you have spotted a problem. Now, all that said, what do we do? The reality is that most research-based weight management professionals agree on most diet advice. Let me repeat that, because it surprises many people: most real experts agree on most major points of advice for diet, exercise, and lifestyle. One expert to another may vary slightly on their advice, but the differences are actually quite minimal. You will repeatedly hear calls for eating a good balance of whole foods, adequate protein, whole carbohydrate-containing foods that match your individual energy needs, and some degree of "good fats". There will be some minor variation between experts, in terms of the best ratio of protein to carb and fat, the type of fats, and protein sources, but over all, there is far more agreement than disagreement. This brings us back to the new "American Viking Diet". Our tongue-in-cheek name refers to the fact that Vikings were actually not rigid in their food choices, as they adopted healthy foods when they ventured out around Europe and even into North America. Historically, Vikings did eat a diet pattern that was high in fish, local produce, which provided a diet of healthy protein, carbohydrates, and fats. They were obviously very active, with intense physical exertion during both farming and fighting. Archaeological and anthropologic studies have shown that Viking warriors had much healthier bodies than other people in that time period. “Most were unusually large; an examination of the muscle-attachment areas of their bones revealed extremely robust physiques....The tests indicated that the men ate, on average, more fish and shellfish than did Anglo-Saxons.” (http://www.smithsonianmag.com/history/a-viking-mystery-59648019/?no-ist ) A group of people known as the Pict, located in what is now Scotland, had a healthy diet that was very similar to the Viking diet. Their diet included: fish such as salmon, shellfish, milk products, grass-fed pastoral meat and wild game, kale, cabbage, onions, carrots, leeks, wild garlic, nettles, watercress, peas, beans, turnips, beets, other vegetables, and whole grains such as flax, barley, rye, and wheat. In the SYSDIET study, subjects ate either a control diet or the ‘healthy Nordic diet”, which consisted of whole-grains, fruits such as berries, vegetables, rapeseed oil, three fish meals per week, and low-fat dairy products, and avoidance of sugar-sweetened products. The control group was told to eat low-fiber cereal products, limit fish to the ‘usual’ consumption level, and use full-fat dairy fat–based spreads. Biopsies and gene analysis were then performed, which suggested that the healthy NND created an ‘anti-inflammatory’ effect. So what is our diet advice, Beth's "American Viking Diet"? We have always recommended the same basic healthy diet pattern: adequate amounts of good quality protein, balanced amounts of good carbohydrates, and emphasis on high quality fats, without eating too many calories for our needs. You could compare this in some ways to the Mediterranean diet, the anti-inflammatory diet, the Zone Diet, or the South Beach Diet. As I said earlier, most educated nutrition experts have wide agreement in their advice, and this is reflected in the common threads of all these diets. Our "American Viking Diet" addresses those two parts of human nature: the love of something new, and the desire to have a simple system to help us solve problems. Stay tuned for more details on our diet, recipes, and more. One more note - my Mom and Dad, my own personal Vikings, could not be more excited about this project! Mom wanted to make sure herring and sardines were on the plan, and Dad wanted to make sure Codfish and salmon were on the menu. They are indeed - with American flourishes, like a touch of maple syrup on the salmon, a nod to our American roots, too! We offer private, personalized 1:1 visits in person, and now 'virtually' online! Watch for our upcoming group classes. It can certainly be a challenge to stay active with pain or an injury involving a lower extremity, but depending on the type and extent of the injury, there are a variety of things you may be able to do. First off, always make sure you clear an exercise plan with your medical provider before working out when you have an injured extremity. If you have an injury or pain associated with a joint, tendon, muscle, or ligament, you may be able to participate in physical therapy. Generally your primary care provider or specialist will be able to arrange this for you if you request. If you choose this option, be sure to ask the physical therapist for suggestions on how to maintain your cardiovascular fitness while you heal. They will be able to show you safe exercises for both strength and aerobic fitness. Other options are available in addition to formal physical therapy. If you have enjoyed swimming in the past, you may be able to join a water aerobics class, or swim laps, depending on the type of injury. (Obviously check with your health provider before starting exercise.) Swimming is done primarily with the arms, but can be a terrific aerobic workout. In many water aerobics classes you are supported by a flotation device, so you can limit the use of your legs; don’t be embarrassed about “being seen in a bathing suit” - people in these classes come in all shapes and sizes! If you need the name of local pool facilities, we can give you some leads if you live here on the New Hampshire seacoast. Other leads: check your with local YMCA/YWCA, local hospital (many have connections with pools or water-based therapy), and your local town hall (some towns have their outdoor and even indoor pool facilities.) If you need to have a knee or ankle relatively immobilized, you may be able to use a neoprene brace for support while in the water; check with your health provider. Depending on the injury, you may be able to use your leg in a limited way with non-weight-bearing exercise such as stationary bike, either upright or recumbent (again, check with your health provider to see if you need a brace or support, if this is appropriate.) You may be able to purchase stationary bikes for a surprisingly affordable price. We can refer you to a Consumer Reports guide on the best exercise bikes for price and performance. In addition to local stores, check outlets (such as the Brookstone Outlet in Kittery, ME, for locals). You may also find affordable stationary bikes at yard sales, on Craigslist, or other ‘want ads’ in your favorite paper or online. Don’t forget to ask friends and family if they have any bikes “lying around” that you can borrow. If you are unable to use your legs at all, there are other solutions. One neat trick is to use a stationary “mini peddler” (also known as a ‘hand cycle” or “upper body ergometer”) that is similar to a small exercise bike - but put it on a table and peddle it with your hands. It sounds funny, but you can work up a sweat. These are used often by physical therapists, but you purchase basic models for home use, for as little as $25 in some cases. You can find these mini-peddlers online (look on online pharmacy websites,big-box store websites, Amazon, Brookstone, etc), and you can sometimes find them at local pharmacies or medical supplies stores, specialty stores, or sports stores. They are tiny and easy to store, and can be converted to leg use as well. Hang in there! It can be frustrating and discouraging to be set back by an injury. Stay motivated by reviewing WHY you wanted to work on healthy activity in the first place - and use those reasons stay on track with healthy eating (SO important for healing), quality sleep, stress managment, and more. Focus on goals such as: feeling better, stronger, healthier, happier, having more energy, overcoming fatigue or depression, lowering risk of disease (such as heart disease, diabetes, and cancer); avoding or minimizing the need for medications; seting a good eample for others in your life; feeling in control and confident; fitting back into clothes that are hiding in the back of the closet, etc. Write out the goals that motivate you- list your top five “Motivators”- and post them in an obvious place, such as your bathroom mirror, or your refrigerator door. And remember, you can always call us for support! We can even do consults by phone, online, or ‘virtually’ on Skype. INFLAMMATION- We know what inflammation is. An injury occurs and the body uses it’s resources to heal; the immune system kicks in, white blood cells are activated, macrophages rush to surround and destroy the intruders. The body has these healing processes, and they are very efficient, but in a state of chronic inflammation over time, the healing mechanisms may start to break down, setting the stage for chronic inflammation resulting in disease. The body may not be able to fully return to an optimal level of health; however, there are steps we can take to avoid inflammation and maintain our good health. One of the keys in preventing an inflamed state in the body is choosing foods that are beneficial to maintaining health. Herbs particularly have been noted as high in antioxidants, which are an ally in the prevention of inflammation. Spices that have anti-inflammatory properties include: turmeric, ginger, thyme, rosemary, basil, oregano, and cayenne pepper.1 A sprinkling of these spices will add flavor without adding calories and may also contribute to continued good health. Low-fat dairy products, such as Greek yogurt, which contains active live cultures, are also helpful in reducing inflammation. Other good food additives include olive oil and nuts. Just be mindful of the calories in olive oil, one hundred twenty calories in a tablespoon, a spray may be better than a pour. Nuts in moderation can also be part of a healthy food plan; walnuts are high in omega-3 fatty acids, just be mindful again of the calories, two hundred calories in 1/4 cup! What we choose to put in our grocery carts and how food is prepared can factor into reducing or preventing inflammation. Shop in the periphery of the grocery store, limit processed foods, and select fresh fruits and vegetables as part of your food plan. Seasonally selecting foods from farmers’s markets or joining a CSA can be fun and allow the selection of varied fruits and vegetables. Try something new! Food can definitely play a role in the reduction of inflammation, but there are additional factors that play a role, as well. Consider sleep. In this busy society, we can easily become sleep deprived. We are plugged into our devices, smart phones, and email is ever present requiring our attention. It may be challenging to unwind, unplug, and get a good uneventful nights rest. Chronic sleep deprivation can lead to diabetes, obesity, cardiovascular disease and even early mortality. 3 Leptin, the hormone that regulates satiety is reduced in sleep deprivation. Ghrelin, the hormone associated with hunger is elevated when sleep deprived. This occurrence can play a role in metabolic syndrome which is a precursor to diabetes. Elevated cortisol, the stress hormone, can lead to chronic inflammation when sleep is insufficient. Continued studies are being considered to evaluate the long term consequences of sleep deprivation and the physiological responses of the body to sleep loss. 4 The immune system may have difficulty over time in defending itself against disease with sleep deprivation, which may preclude to inflammation. It’s recommended to obtain 7 to 8 hours of sleep a night in a darkened room. Light sources in the room, even with eyes closed, can be a deterrent in getting restorative sleep. Keep the sleep schedule the same, the body gets used to a routine. Exercise has been known to lower an inflammatory marker in the blood known as C-Reactive Protein (CRP). This substance increases when there is inflammation in the body. People who engaged in moderate exercise for at least 2.5 hours a week had lower levels of CRP and other inflammatory markers, according to a research study. 5 This exercise can be divided up into increments of time that work with one’s schedule. Better yet, make exercise part of your schedule, your daily routine. Find an activity you like, whether it be gym activities, hiking, swimming, or dancing around to your favorite music. The exercise that is right for you is the one you have an interest in doing. Most likely sleep will be improved also. Good oral hygiene can also play a role in the the prevention of systemic inflammation. The oral cavity had been described as a “front line shield” against inflammation but when compromised can have an affect on diseases such as diabetes, obesity, rheumatoid arthritis, and atherosclerosis. 6 Continuing to follow up with regular cleanings and an oral exam from your dentist can be the first step in maintaining a healthy mouth. Remember to floss! A holistic approach towards health includes healthy eating, exercise, and getting enough of that much sought after sleep. Take some time to reduce life stressors- yoga, meditation, and music can all help us to relax and maintain our optimal health. Remember to have fun, enjoy your loved ones, and life is a balance (not always a perfect balance), strive to do what you can to ensure a long, healthy happy life. Kuhn, M. ( 2015, May). What Is In Our Food. Paper presented at a conference sponsored by The Institute for Brain Potential. In our clinic we often employ a technique to deal with "trigger" foods called the 'Remove and Replace" strategy. In short, rather than DENY a craving, do a 'switcheroo' to remove and replace 'junk' food with healthier options and ingredients. Sometimes I get calls from writers who are asking for help and ideas for their readers who are trying to lose weight and improve their health. I recently spoke with Jenna Birch, while she prepared an article called "Lighten Up Your Favorite Indulgences With These 10 Simple Ingredient Swaps." You can read her story here: http://thestream.sodastream.com/lighten_up Her story fits in perfectly with our "Remove and Replace" technique! This is an easy switch to make in many recipes. Just sub out sour cream for fat-free Greek yogurt. “For example, you can use Greek yogurt as a base for onion dip for vegetables or as a sweet dip for fruit,” says Jennifer Warren, M.D., the medical director at Physicians Healthy Weight Center. “You can use Greek yogurt on top of baked potatoes or try with baked sweet potatoes. You can even use it with Mexican food instead of sour cream, or for baking brownies or cookies when the recipe calls for it.” Make this swap, and you’re looking at 17 calories per ounce instead of about 60, and you’ll also save on fat. Warren suggests substituting starchy dinner items for low-calorie, high-water vegetables to save tons of calories at each meal. “Some easy switches are spaghetti squash or zucchini instead of pasta; mashed cauliflower with melted fat-free cheese instead of potatoes or rice; and grilled or roasted asparagus or Brussels sprouts to fill up the rest of plate,” she says. If you’re trying to lose weight or simply get healthier, veggies are your best bet. Check out her article for great ideas from other experts, as well! Four Culprits of Relapse: Why we fall off the wagon with healthy habits, and how to get back on! We've all been there - we start a great nutrition plan, exercise plan, and lifestyle plan - we're excited, happy and doing well, and then...something happens. We look up one day and realize that somewhere along the line we fell off the wagon. Our great new habits have slipped away. We beat ourselves up, feel discouraged, want to give up. We might even wonder what is wrong with us. Well, good news. Nothing is wrong, we're simply human. We're not perfect, but we DON'T HAVE TO BE PERFECT. In fact, perfection can be a trap. I recently heard Christiane Northrup say "Perfectionism is the excuse we use to not do something." Great point! Let's all DROP the goal of being 'perfect', and reset our goals: BE GOOD ENOUGH, OFTEN ENOUGH, TO BE HEALTHY AND HAPPY. And let's stop beating ourselves up! The successful 'big losers and maintainers' in the National Weight Control Registry teach us that successful healthy weight is achieved not by being perfect, but by planning ahead to 'screw up' - and also planning to get back on track. An insightful patient once told me, "I finally get it - everyone falls off the wagon. Then we have a choice - climb back on the wagon, or let it run over us! I won't let the wagon run over me any more." 1. The Creep: Old habits which creep back! It’s human nature for old tendencies and patterns to creep back when we’re ‘not looking’! Hidden calories can creep back, exercise can creep down, etc. We face an ‘obesogenic’ environment, which means that if we don’t stay on top of things, with support, the Creep can get us!. The Fix: Go back to what works! It worked before, it will work again. We’ll be your support team (and help with accountability!) Put yourself back on top of your priority list! 2. The “Catastrophe”: Any big change which throws you off your healthy routine! (Can be a good change or bad change.) It’s human nature to go back to ‘default mode’ when we’re off track, or face change or stress - and that often means old unhealthy patterns. If we get stressed or sick, we might let go of exercise, or pre-planning, etc. The Fix: If it’s a short term disruption, don’t panic, ride it out, and go back to what worked before. If it’s a long-term, ongoing change or challenge, then create a new plan to address. We’ll help set up your new plan. Another type of “catastrophe” - eating “addictive foods” (during holidays, trips, etc) which trigger cravings for more. Sugary-fatty foods are the worst culprits. The Fix: “Lock down” clean and simple eating - and be aware that it can take three or more days for your brain to ‘calm down’ and be ‘free’ of intense cravings. 3. Eeyore: Fatigue, which can be mental or physical, such as fatigue from lack of sleep, or stress or illness, or depression, or loss of motivation. The Fix: Identify the cause, and ‘fix’ it! We’ll help! Physical ailments such as prediabetes, metabolic syndrome, low vitamin D, hypothyroidism, etc, depression, anxiety, insomnia, arthritis, etc, need to be addressed. If stress or sleep are challenges, we’ll help with strategies and stress- reduction techniques, such as meditation (check out the app: Headspace). Get re-motivated by focusing on your goals - what you REALLY want- such as feeling strong, healthy, in control, being a role model, and having as full a life as possible! 4. The Inner Baby/Inner Needs: Unmet needs in our life. We all have multiple ‘needs’ which need to be fullfilled: time alone (introvert needs), time with others/socializing (extrovert needs), spiritual needs, creative needs, need to feel connected to something larger than ourselves, need to feel we are contributing, etc. It’s easy to make the mistake of EATING to try to fill those needs - but remember “If the inner baby is crying, she/he might not need food, maybe there is a different need.” Figuring out what we REALLY need can take a little time and reflection. It can be a challenge to identify and analyze the Four Culprits, and more of a challenge to come up with solutions. And even MORE of a challenge to keep the solutions going! We can help with all those steps. This is a "flashback Thursday" post - WITH an updated 2015 list of produce for you at the end of the article. For years, the Environmental Working Group has been studying fruits and vegetables to see how much pesticide remains in them AFTER proper washing (and peeling, for fruits such as bananas.) It turns out that some fruits and vegetables have high levels of pesticide, despite our best efforts to scrub our produce! Luckily for us, the EWG publishes a list every year, with updated research, which tells us which non-organic produce is 'dirtiest' - the Dirty Dozen - and which produce is relatively clean - the Clean Fifteen. When you purchase produce on the Dirty Dozen list, it makes sense to purchase ORGANIC versions of those, to minimize exposure to pesticide. When you purchase produce on the Clean Fifteen list, you don't have to be QUITE as careful - if you need to, you can buy non-organic versions of these, and still have minimal pesticide exposure. "Frequent or extended exposure to pesticides may increase the risk for developing autoimmune diseases such as lupus and rheumatoid arthritis, according to the results of a longterm follow-up study of thousands of postmenopausal women." High Fiber, Low Carb Foods for Weight Loss- add Fiber Without Too Many Calories! Our goal is to add fiber without adding too many calories or too many carbohydrates for our needs. Reducing excess carbohydrate can be beneficial for maintaining blood glucose and insulin levels, particularly for those with abdominal weight gain ("belly fat"), prediabetes, diabetes, metabolic syndrome, PCOS, peri-menopausal weight gain, among others. At the end of the article we've included a list of the best delicious high-fiber, lower carb (and lower calorie) foods. There are two different types of dietary fiber that have different effects in the body- soluble (gooey) and insoluble (dry/broom-like). Soluble is beneficial for our bodies because it attracts water, expands into a gel, and slows digestion; it is found in fruits, vegetables, oat bran, barley, nuts, seeds, beans, lentils, and peas. Diets high in soluble fiber can help to reduce total and LDL cholesterol. Insoluble fiber adds bulk and speeds passage of food through digestive tract. Insoluble fiber is found in vegetables, wheat bran, and whole grains. We need both types of fiber, but too much too soon is a problem, so increase gradually. “The average adult eats around 15g of fiber each day. The general recommendation for daily fiber intake is 25-35g per day; more specifically, women need 25g/day and men need 38g/day”, according to the Institute of Medicine. It is important to increase fiber slowly, because too much, too soon can be a problem! Adding a lot of fiber too quickly can cause stomach distress, constipation, gas, cramps, bloating, and discomfort. Gradually introduce additional fiber to the diet over a few weeks to avoid stomach distress. Choose FRESH fruits and vegetables, instead of juices. Compare food labels to find higher fiber content per serving. Drink plenty of fluids (non-caloric). Set a goal of at least 8 glasses a day to help you body process fiber. Consider adding beano when starting to add non-starchy vegetables (beans, broccoli, caulflower, greens). Add fiber gradually over a period of a few weeks to avoid stomach distress. Keep peels on fruits and vegetables (taking the peels off reduces the amount of fiber you get). Fiber-rich foods provide benefits no matter how they are prepared, either cooked or raw. Try a fiber supplement: Benefiber, Metamucil, Citrucel, other fibers (glucomannon), etc. Choosing fresh, non-starchy vegetables can help increase your fiber intake while keeping the number of carbs down. One serving of non-starchy vegetables is one cup raw or ½ cup cooked and generally contains up to 5g carbohydrates. Darker colored vegetables have additional benefit of higher vitamin and antioxidant content. Peas, corn, potatoes, rice, and winter squashes are much higher in carbohydrates and calories. Almonds (1 oz.) 6g protein, 5g total carbs, 3g dietary fiber… try 100-calorie packs of almonds! Some psyllium fiber supplements are carb-free and contain up to 15 grams of fiber per tablespoon.